Over at Acme Tools, this Milwaukee M12 cordless oscillating multi-tool kit and Packout tool box bundle, 2426-21PO, is on sale for $89. 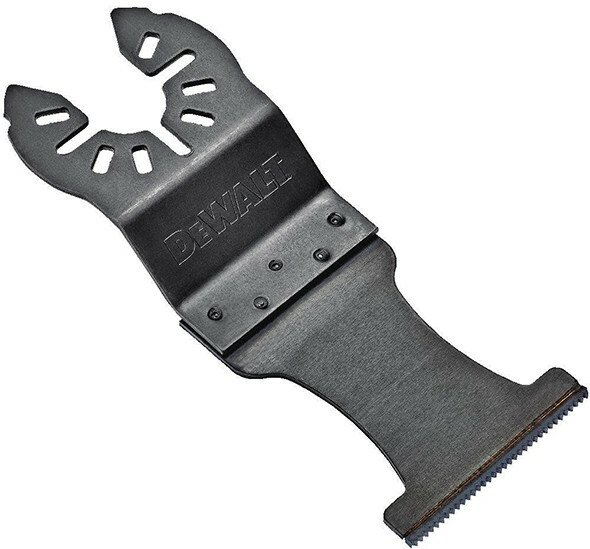 The multi-tool comes with a universal adapter, and so it should work with most major brands of accessories. The description says that it comes with a wood-cutting blade, sanding pad, and 5 sheets of sandpaper. 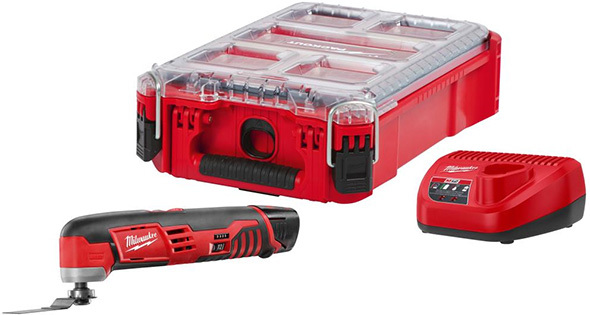 You get the tool, a 1.5Ah battery, charger, and the small Packout toolbox. $10 more to trade the Packout for a drill & 2nd battery. someone in another post said people would prefer this combo over a drill/impact. Yep. Picked that up earlier this week. Kept the oscillating tool for myself and gave the drill/battery/bag to my father in law for early Xmas present. Kinda regret giving it away but I have the m18 drills and drivers. I can definitely see that but also see how these would be really handy for a small project where it takes longer to get the big tool out, plug it in, realize you need an extension cord, and so than to do the actual job at hand. I’m not so much down on cordless OMT’s – as I am about this one. It looks like they ran out of stock or reached a limit. I’ve been hearing about this on a few items. The deals aren’t set to expire yet, so I’m thinking either it’s a mistake, or they sold out. I thought it was probably an inventory issue but was hoping that you had a direct Acme access link ….. I was planning on asking some questions on Monday. Tried to get the packout combo from ACME but OOS with price of 129 I think Mary said. Ordered a giant combo from HD I listed below which I will sell the 2 drills later on that I dont want/need. I got this….lots of tools but I can also sell the drill(s) and keep the 3 batteries, charger, pack, hackzall, light and oscillating tool. I wanted the gen 2 hammer/drill, impact driver so ordered that combo from HD as well.